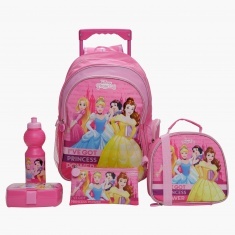 Save AED 69 (43.40%) – Earn 9 Shukrans What is Shukran? Shukran is the Landmark Group’s award-winning loyalty programme in the Middle East, which allows you to earn Shukrans when you shop any of our brands. 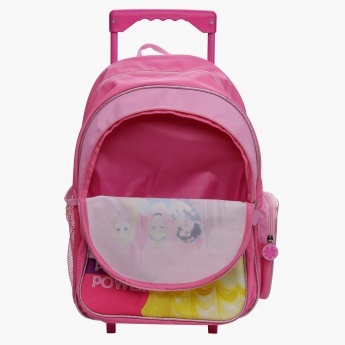 Designed as per the latest fashion trends, this trolley backpack set is just apt for daily use. 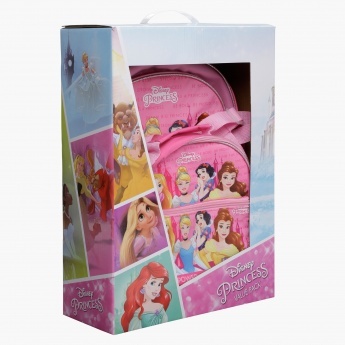 It is complete with a lunch bag, lunch box, water bottle and a pencil case all enhanced with a lovely print of princess.